Paravet Plaque Off 40 g order online. 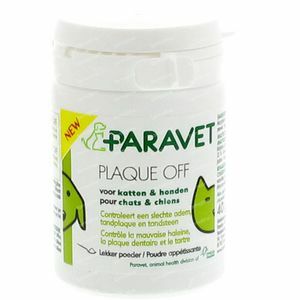 Every day, plaque puts the attack on the teeth of your dog or cat. 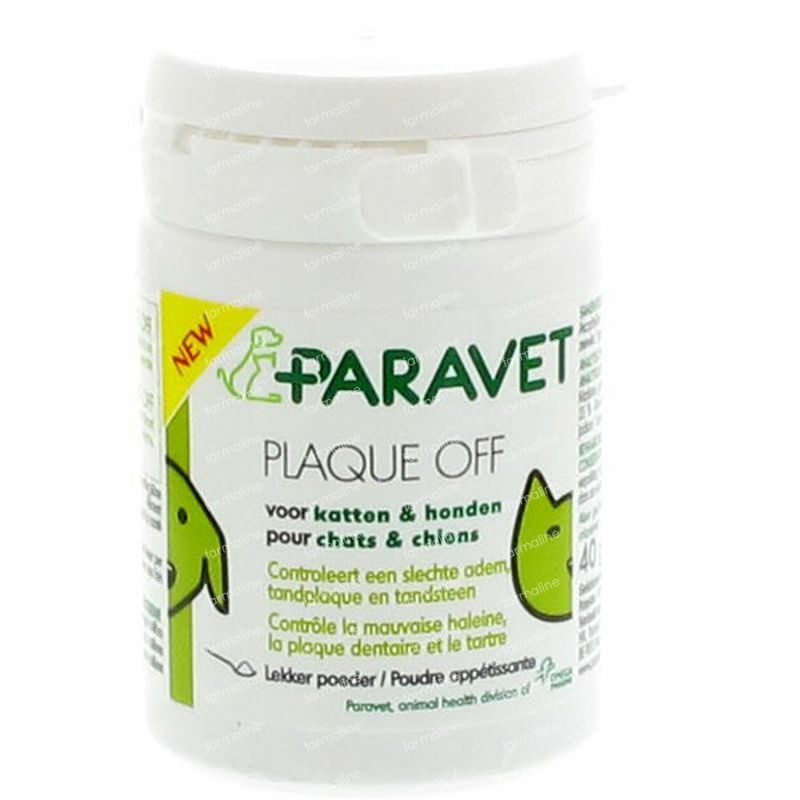 Once plaque hardens into tartar, you can not get it off anymore, with bad breath and tooth decay as a result. Give your pet's teeth a proper care. - Powder that's been selected based on seaweed for daily hygiene of the teeth. - Against bad breath, plaque and tartar. - Very convenient in use, add to the daily diet. - First results are visible after 4 to 8 weeks. I use this product for like a week now and there is a big difference. My dog's smell isn't that weird anymore. I recommend it to all who can't brush the teeth of their dogs.